Kaspersky’s founders could never have expected their online protection products and services to become so popular, back in 1997. However, the reputation of Kaspersky Lab has grown bigger and nowadays everyone refers to this Russian company as one of the most notable competitors in this truly challenging field of expertise. In our in-depth Kaspersky Antivirus review, we check through the newest addition of Kaspersky Antivirus 2015 and we find both the pros and cons for you to look out for. After all, we are Security Gladiators and it is our responsibility to keep you on alert for anything related to such cutting edge technology! So, let’s get started! Kaspersky has built quite a solid reputation as to the quality standards that it provides to users globally. It is true that there are great tools that will help you overcome the obstacles of hacking and protecting your privacy (though such options are rather basic). With the use of state-of-the-art technology and with amazing convenience for both novices and technologically knowledgeable users, we ought to give Kaspersky a chance to prove its value. There is no reason for you to restart your device after having downloaded Kaspersky, which is pretty cool. If you follow the simple guidelines provided upon your download, you will be over within minutes and you will be ready to enjoy the easy and yet distinctive interface available. You can navigate through the various tools of Kaspersky (for instance, the quarantine or the reports) without any difficulty. So, this is a huge plus for people who are not tech savvy and would otherwise feel less privileged to get the maximum effectiveness from their antivirus software. Equally important is the fact that any upgrades and updates are completed by default and thus automatically! There are options provided for all budgets and there is efficient flexibility in the subscriptions of Kaspersky. Nevertheless, not all the packages can boast of being affordable for the vast majority of Internet users. Analytically, there is an inexpensive package for one device lasting a whole year at $39.95. This can go even lower at $54.95 for two years. Respectively, 3 devices cost $59.95 annually and $89.95 bi-annually. As you can see, long term commitments can offer you a much better overall value for money. By ticking on the specific box, you get auto-renewal for your subscription. Last but not least, free 30-day trials are provided. One thing that has captured our attention during our Kaspersky antivirus review was the section of help and support. To be more specific, there is a truly analytic forum for you to have a look at and there are how-to videos and detailed guidelines available for everyone. You will see that there are emails provided for contacting the tech support or getting to clarify anything regarding sales and enquiries. However, the forum and the blog will enlighten you accordingly and keep you up to date. Finally, there is the online security center that helps you find out how well protected you are. So, you get fairly personalized solutions based on your own needs. Overall protection in Kaspersky sets the bar high, although there are some issues that should be addressed. After having been tested by experts, Kaspersky has managed to live up to the challenge and deal with 100% of the threats and malware online. When it comes to the parental control options, there is nothing more that you could have asked for. Blocking adult content and even gaming options is really simple and easy. One thing that definitely requires attention is the basic privacy features included. Since identity theft and hacking incidents have become pretty much routine for the web, it would be great to offer top notch and edgy privacy features for thorough dealing with this plague. On the bright side, Safe Money provides solid ground for secured online purchases and all financial transactions and anti-phishing options help out remarkably. Password Manager is also a wonderful feature, but offered at an extra fee. Since Kaspersky is updated and aims at being competitive on the global market, it goes without even questioning that it is fully compatible with all OS and devices. Full features of Kaspersky antivirus and other security software are offered on Windows and Mac, iOS and Android. As long as you download the right app and follow the information provided, you will have no problem while handling the best version of Kaspersky for your own device. 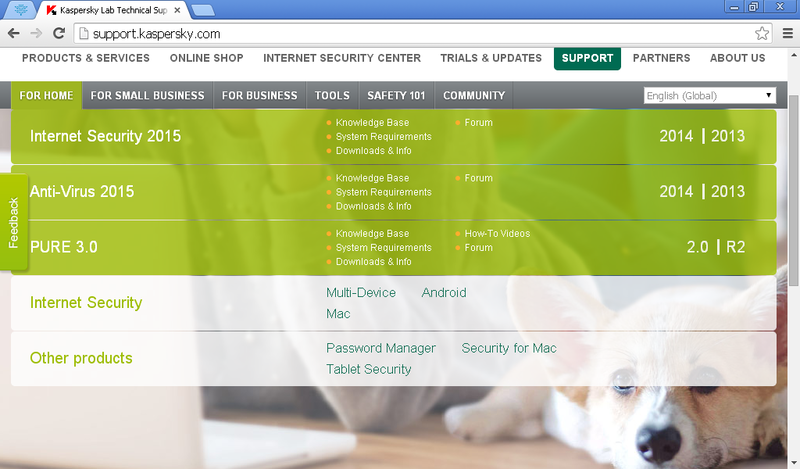 Unlike several other security suites, Kaspersky does not offer a lot of mobile features for you to enjoy. Besides the apps that are available for both Androids and Apple devices, you get basic coverage and protection against threats online. 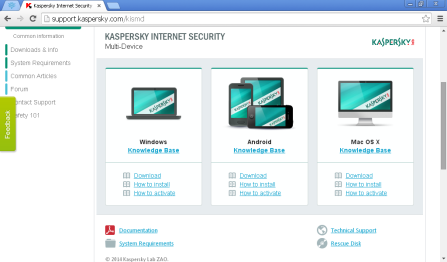 Due to the fact that the mobile devices require some extra attention (like locating the mobile device in case of robbery or loss), you can see that there is room for enhancement in the power of the tools offered by Kaspersky. This does not mean that you are exposed to threats, if you use Kaspersky on your mobile though! Kaspersky is a Russian-based company seeking global success in online security and solid protection. Features like Safe Money and parental options live up to the test, whereas there should be some extra attention to mobile features and privacy in general. Protection is reliable and this is proven via unbiased reports highlighting 100% success against malware and viruses of all sorts. The prices vary and some can be a little expensive, but the suite is really qualitative and will not let its users down in any way. Kaspersky is a great option, as far as online security is concerned. You should expect no trouble while downloading, installing or even using it in the long run. Still, the performance of your device is certain to slow down remarkably during its full scan and there is no mobile version available for the single device subscription. So, the cost might be too expensive for some. Parental control and tech support make it a reliable and qualitative alternative on the market.